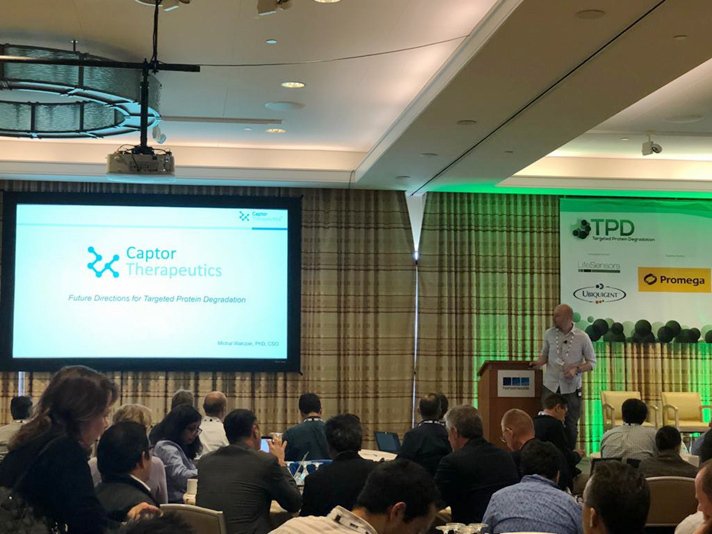 Captor Therapeutics actively takes part in conferences to share knowledge and exchange expertise with other scientists and business representatives. Collaboratively, we can overcome challenges in protein degradation and progress the technology into clinics more effectively. 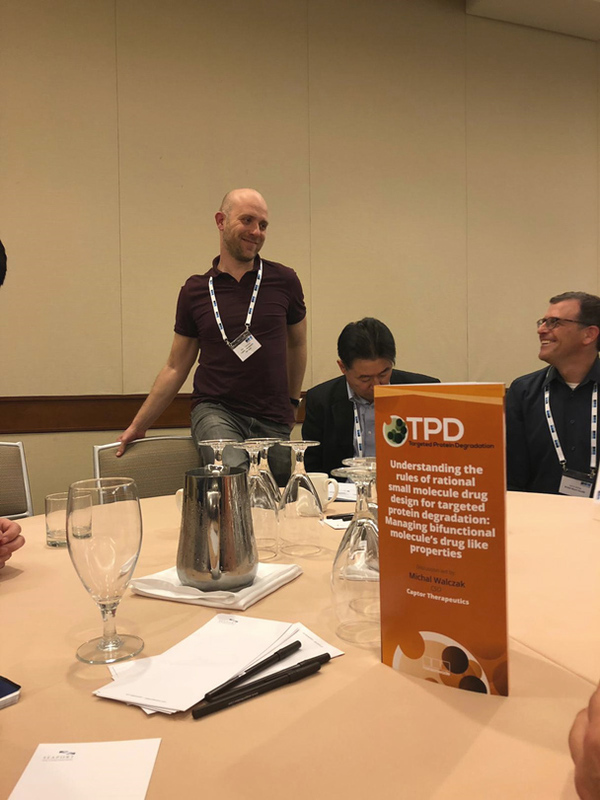 Michał Walczak, CSO, presented future directions for targeted protein degradation and led the roundtable discussion about the rules of rational small molecule drug design. 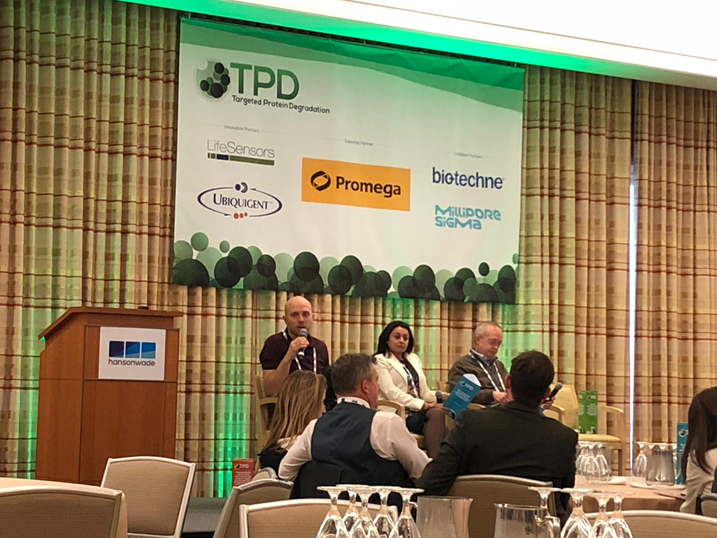 The summit was the most relevant TPD-dedicated event of 2018. 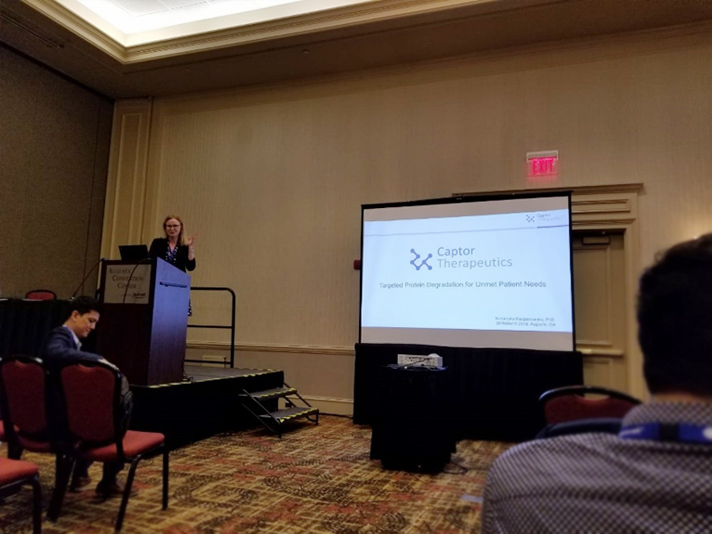 Katarzyna Kaczanowska PhD, the Head of Chemistry at Captor Therapeutics, gave a presentation about opportunities of TPD in the light of unmet patient needs.